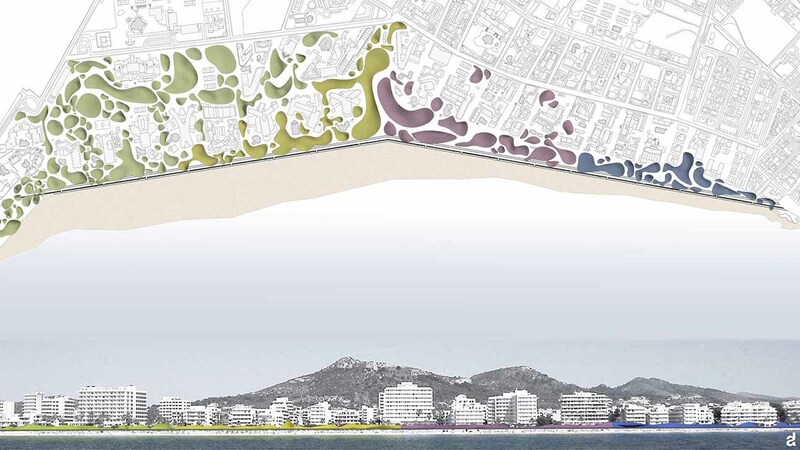 The intention of the project is to give back to the Nature the area of the seafront of CalaMillor, creating a set of flowering dunes, extension of the natural great lung laying in the south of the site. The dunes and the typical Mediterranean vegetation, massively present, are reported into the interstitial spaces of the buildings, eliminating private spaces, creating a kind of public garden extended around the whole area of intervention of CalaMillor. The presence of flowering dunes gives movement to the morphology of the ground, creating new paths and a constantly changing perception of the context. 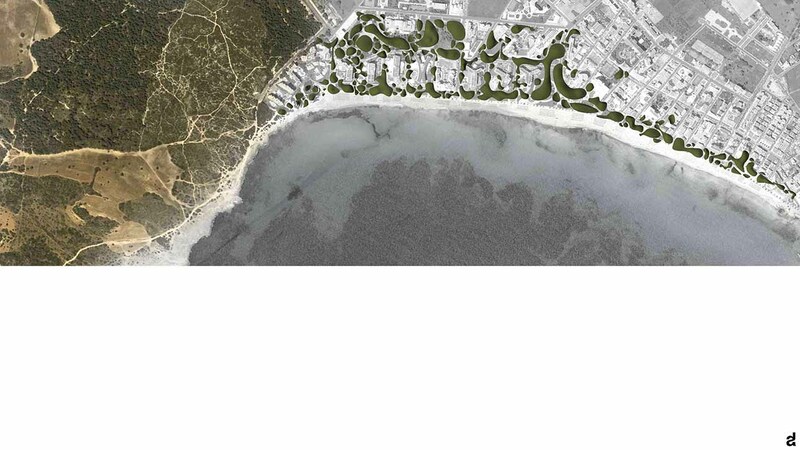 Their fluidity and penetration into the urban fabric imply that dunes can act both as a perceptual and spatial filtering between the waterfront and ambiguous forms of persistent hotels and swimming pools, and as a system that combines the identity of the landscape place with the architecture. The space generated by dunes is a multipurpose space, varying in every urban area through their deferred blooms. 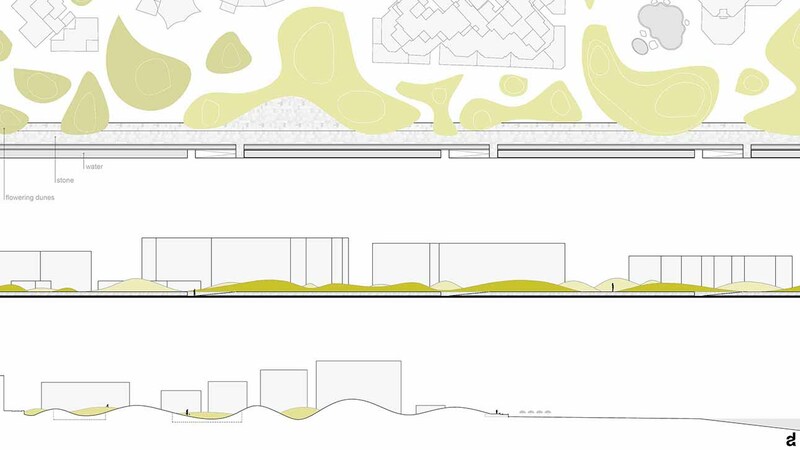 The sinuous development of the dunes ends in the east, towards the sea, in a regular and monolithic basement of stone, which, with small ramps, seating and water pool redraws the entire seafront of CalaMillor.